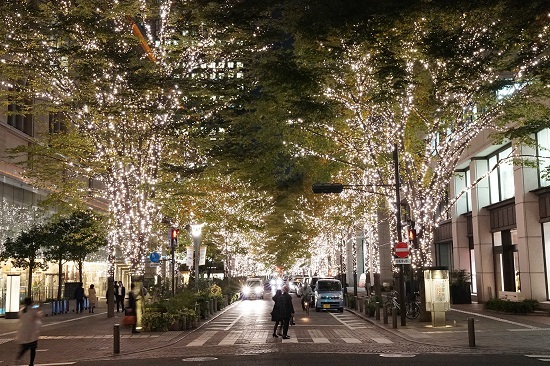 Avoid the impending feeling of your holiday being over and going back to less merry days at work by heading to Marunouchi, where the illuminations last until mid-February. Take the time to give your heart that extra little bit of brightness, or if you simply miss out on all of the illuminations that end in December or January, make this your plan to ensure you make the most out of the jovial season, sans time pressure and worry. The Marunouchi setup has gold-colored illuminations wrapped around the trees which line the area’s main boulevard.